Featured Patio Set Includes: 42"x86" Rectangular Dining Table, 4 High Back Padded Sling Chairs and 2 High Back Padded Swivel Dining Chairs. Are you looking for extremely comfortable patio furniture designed to live outdoors? Do you find yourself unsatisfied with the seating experience traditional metals, such as wrought iron, provide? Are you looking for something special in your next patio furniture purchase? 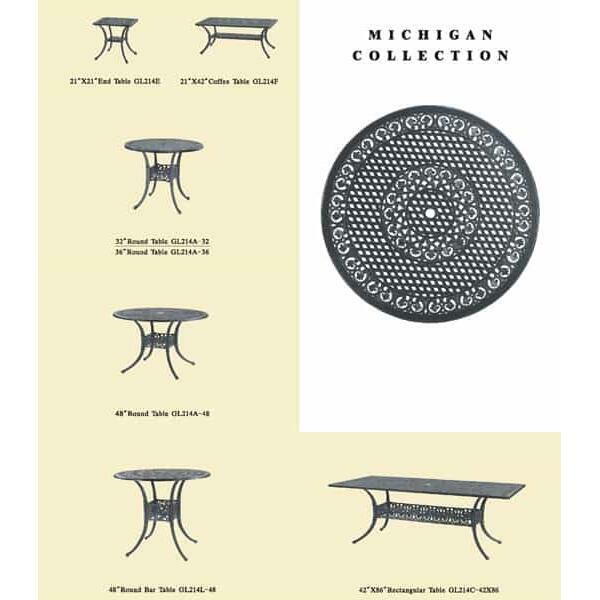 If you answered yes to these questions, look no further than the Michigan Padded Sling Dining Collection by Gensun! 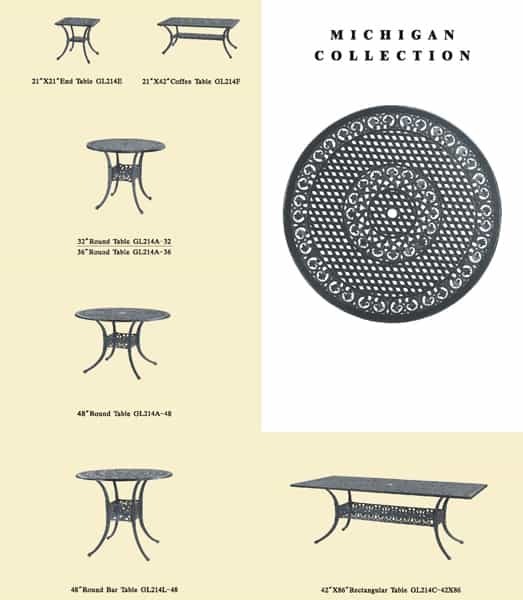 This spectacular collection provides the detailed style Gensun is known for, complete in powder-coated cast aluminum. And while the frames provide this exceptional material, the seats themselves provide comfortable and easy-to-own sling. Sling is loved by homeowners because it dries quickly, is easy to maintain and is soft to the tough. This version of sling provides all of these benefits and more, being stuffed with Dacron padding for an enhanced seating experience. 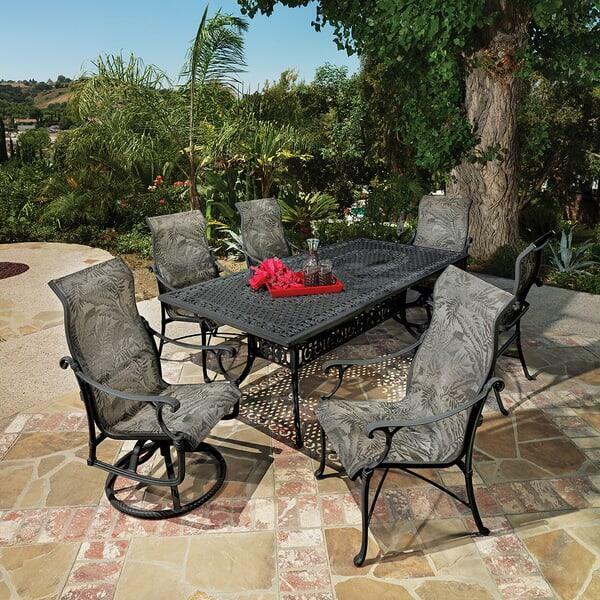 We promise this is one of the most comfortable patio furniture collections on the market today. So if you require extreme comfort and are sick of hard-to-won patio furniture, consider the Michigan Padded Sling Dining Collection from Gensun and Family Leisure!